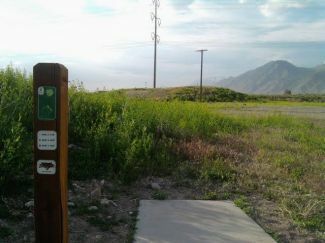 Description: Course set in a landscaped gravel pit. Exposed to windy conditions and plays long. Some small elevation changes for variety but mostly plays flat with no trees or major obstacles. Local Directions: I-15 to exit 257 from the south or exit 258 from the north on to US-6 E towards Price. Continue on US-6 for 4.4 miles to a left on S 3400 E. 100 yards on right is entrance to park, go 200 yards on dirt road to first hole.